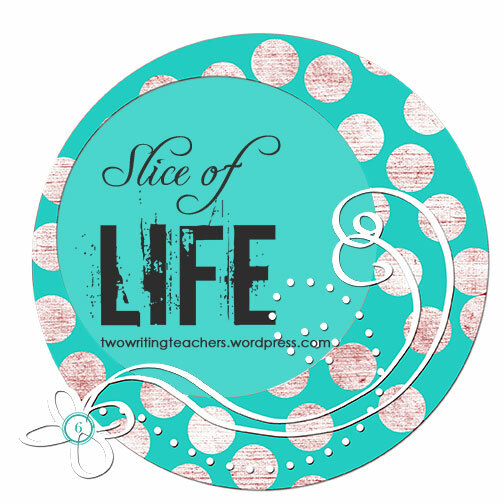 This year, I had my students to join with me on the slice of life challenge. It has brought a new twist to the challenge for me. I am pleasantly surprised by their slices as I get a new peek into their daily lives. When I get home from school, not only do I get excited when I receive e-mails for comments on my posts, but when I see that they’ve linked their slice of life post I can’t wait to read what they wrote. I see the students excited to blog and receive comments. I see them thinking more deeply about their daily lives. I see them able to look at the small moments in their lives and write about it a way that draws you in. I see them becoming better writers. I see them looking at the world with a writer’s eye. I’m excited to see how they feel at the end of the challenge. Some of my students have committed to blogging every single day. I am curious to see which ones will make it to the end. I’m anticipating the sense of accomplishment that they will feel on March 31st after 31 days of blogging. I patiently write and wait, hoping that they will see the power in their words. It’s so special to see your students transform as they participate in this challenge. Are they trying out new genres, too? I know this challenge will change them forever as writers. This gives you an interesting peek into the window of their lives. What a great experience for your kids. I think that slicing is a great way for our kids to cultivate t he writing habit…it’s what I posted about today. Good for you that you gave this a try!